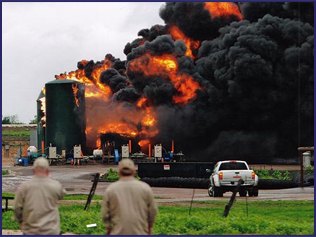 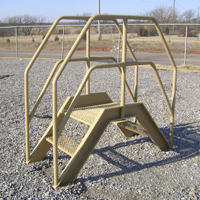 An important part of containment systems is that they do not impair access to your tanks and other equipment. 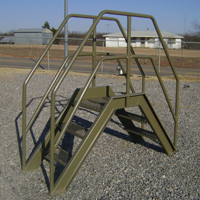 Our heavy duty stile has up to 4 feet of clearance, allowing personnel to walk over metal containment rings or other spill containment structures. 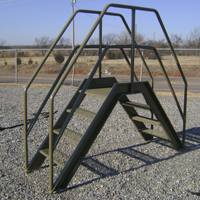 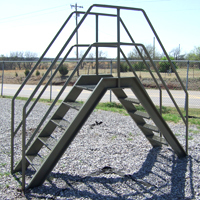 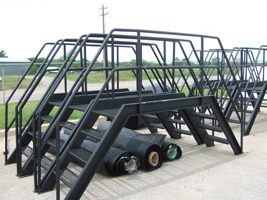 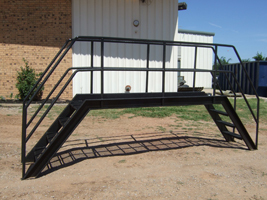 All of our walk-overs features extra large ground pads for stability, all-weather steps and top deck, with a load capacity of 1,000 lbs, 42" handrails, 50 degree approach angle for easy access, powder coated to protect the metal from harsh environments and each walk-over meets OSHA requirements.